The middle ear plays a vital role in the sense and sensitivity of hearing. Of the various characteristics that distinguish mammals from other vertebrates, several pertain specifically to the middle-ear system, such as the presence of three middle-ear bones and the four-layer composite structure of the tympanic membrane. 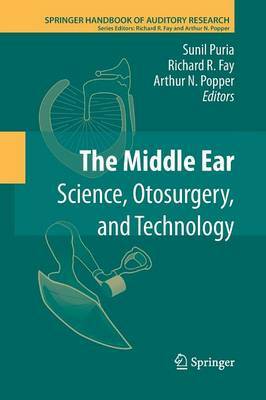 The Middle Ear attempts to elucidate the role this system plays in sound transmission, as viewed from both scientific and clinical perspectives.